There is no better thrill for a spectator than to watch a batsman pummel a bowling attack with a string of boundaries. Tendulkar’s blistering counter-attack vs Australia in a 1996 World Cup match is the foremost memory I have of a boundary fest. Tendulkar, batting on 12 at the start of the 9th over, was on 56 by the end of the 13th and had scored 34 out of the 44 runs in boundaries only. While the ODI format is flush with instances of boundary fests, Test cricket also has its fair share of moments when batsmen chose to dictate terms without running much between the wickets. Here is a list of the highest boundaries percentages among players who have scored a century in Tests. 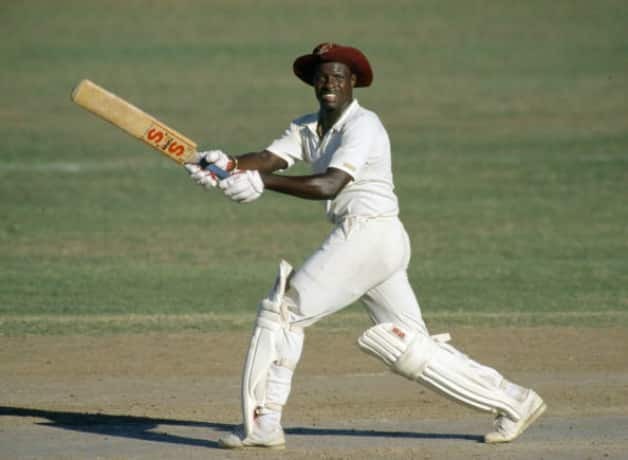 Richie Richardson emerged as a worthy successor to Viv Richards as West Indies’ premier batsman throughout the late ‘80s and the early ‘90s. A fierce striker of the ball, Richardson could dismantle the opposition bowling attack with a splendid array of off-side strokes(especially the Square Drive). He unleashed them one fine afternoon on a hapless England bowling attack in the 2nd Test of the Wisden Trophy 1986, when he steamrolled to 102 off 140 balls, collecting 82 runs in boundaries. Not only did this innings set up the match for WI (which they won by 7 wickets), but also served as the precursor to what would be the second 5-0 thrashing of England in 2 years. 4 Cricketers you didn't know were once involved in corruption.